It is imperative for China to train and promote new officials who are idealistic, brave, clean, and global-minded. There is no doubt that China’s reform is entering the so-called ‘deep water’ zone, evidenced by Chinese leaders’ repeated warnings in recent years. The reason is that all the easy reforms have already been implemented; the remaining reforms will be extremely challenging for the Chinese government. In order to push through such reforms, thus, it is imperative for China to train and promote a new generation of government officials who are idealistic, brave, clean, and global-minded. After all, all reforms must be implemented by officials at all levels. These reforms cannot succeed if officials sit idle or resist them. There are already many reports that officials at all levels of Chinese government are directly or indirectly resisting reforms that hurt their interests. This is not surprising. The best strategy to deal with such a situation is to train and promote officials who have the following qualities. The first important quality for officials is being idealistic. It might seem a bit strange for today’s China since for more than three decades China has mostly adopted a pragmatic approach toward politics. To use Deng Xiaoping’s words, “to get rich is glorious.” Thus, Chinese officials are evaluated by their ability to generate GDP growth, leading to China’s stellar economic performance but also a variety of problems such as social inequality and environmental pollution. But things are changing now. China is entering a new period of development and because of this it badly needs new ideas, new models, and a new political culture. Officials at all levels must adapt to this new reality; it will not be easy, but it is a necessary step for China’s future development. The second important quality is being brave and responsible. Reform is never easy, in China or elsewhere. This is because reform by definition involves a redistribution of power and resources and, as such, leaves winners and losers. The losers of reform would make every effort to defeat their implementation in the first place. Unfortunately, for China, the success of economic development since 1978 has also created various powerful interest groups that have the ability to thwart reforms that hurt their interests. One can find plenty of examples in the energy and financial sectors. Such difficulties mean that governmental officials who undertake reforms will face all kinds of threats and even physical danger. Without courage and determination, government officials in China will only seek to protect their positions rather than push for reforms benefiting the people. 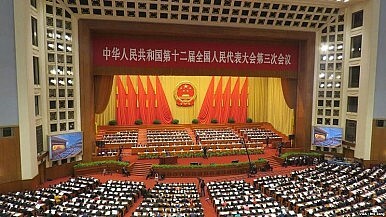 Another critical quality for Chinese officials is being clean. This is quite straightforward now as the anti-corruption campaign deepens. There is no need to detail the negative impact of corrupt officials on China’s development. In a word, corrupt officials will cause the collapse of the CCP and China. The top leadership in China now is very aware of this problem; and this is why they emphasize that the “anti-corruption campaign is always on the road.” Of course, to largely eliminate corruption in China, institutional mechanisms must be established to encourage people’s participation and monitoring. This process will be a long one given the complexity of the corruption problem in China. Nonetheless, training and promoting clean officials is a very important step in this direction. Last but not least, China badly needs officials who are global-minded. The reason is very simple. China is a potential superpower and a superpower must understand not only its own region but also the whole world. China has been the biggest beneficiary of globalization for the past three decades; now it is China’s turn to contribute to globalization and the world. Unfortunately most Chinese officials lack global vision, despite their frequent trips overseas. This is part of the reason why China still lacks soft power. If a new generation of Chinese officials who are humble, knowledgeable about international affairs, and good at intercultural communication can rise up over the next two decades, then China’s hope to become a soft power country will increase significantly. It is now a cliché to say that institutions are important for development. But people often forget that institutions are implemented and transformed by officials. Without the right officials, institutions cannot have their designed effects. This applies to all countries, but China in particular. If China cannot train and promote the right officials in time, then the likelihood of realizing the “China dream” will decrease, perhaps entirely. What About China's Selfless Officials? The same system that fostered heroically selfless Chinese officials also creates an atmosphere for corruption. CPEC Emboldens China and Pakistan’s Joint Effort to Manage MilitancyExamining Crime and Terrorism Along China’s Belt and RoadChina’s Rise in the Middle East: Beyond EconomicsChina in the Middle East: Past, Present, and FutureWhat Does Qi Yu’s Surprising Appointment Mean for China’s Foreign Ministry?